Beautifully studded in a prong setting are sea blue aquamarines and diamonds in an alternating pattern. They are arranged in a half eternity style and dazzle brilliantly on the lustrous 14k white gold band. This alluring aquamarine and diamond wedding band is sure to steal the spotlight. 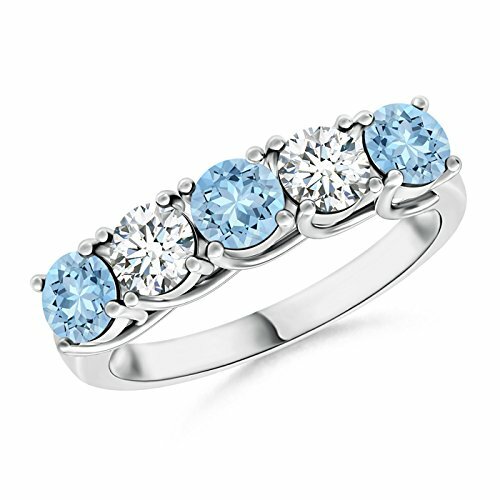 Aquamarines are Heat treated for enhanced brilliance and lustre. Bria Lou 14k Yellow Gold Tanzanite Gemstone 6mm Square-Cut Solitaire Pendant Necklace, 18"